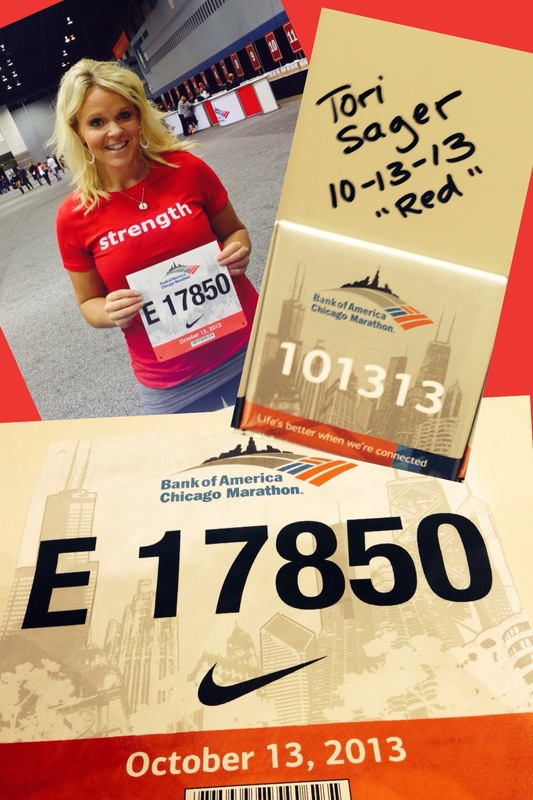 Tori Sager of Fellow Flowers was “red”y to run the 2013 Chicago Marathon! Tori Sager and her business partner Maryellen “Mel” Charbonneau are in the inspiration industry. 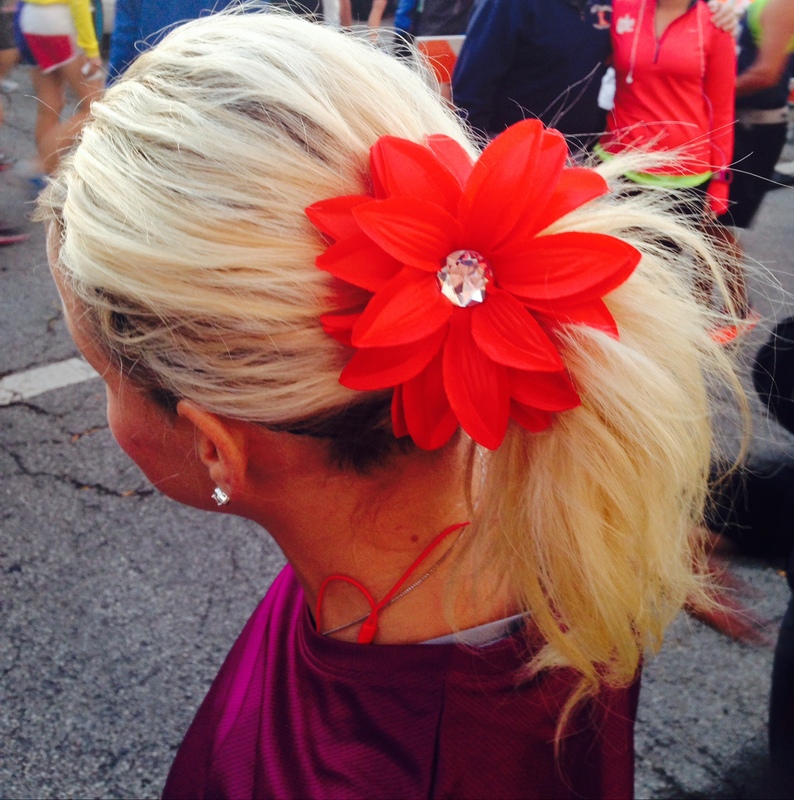 Their company sells hairpins and t-shirts meant to motivate women on the run. Fellow Flowers goes beyond simply hawking accessories and workout apparel, it creates a space for women to find encouragement and share strength when they need it most—a space Tori tapped into on Sunday when she wasn’t sure if finishing the Chicago Marathon was in the cards for her. Even though she still couldn’t walk down stairs without grimacing, Tori graciously took my call shortly after the race to chat about Fellow Flowers, the meaning of commitment, and other awesomeness. With marathon season in full swing, I want to know: What keeps you running when the chips seem down?